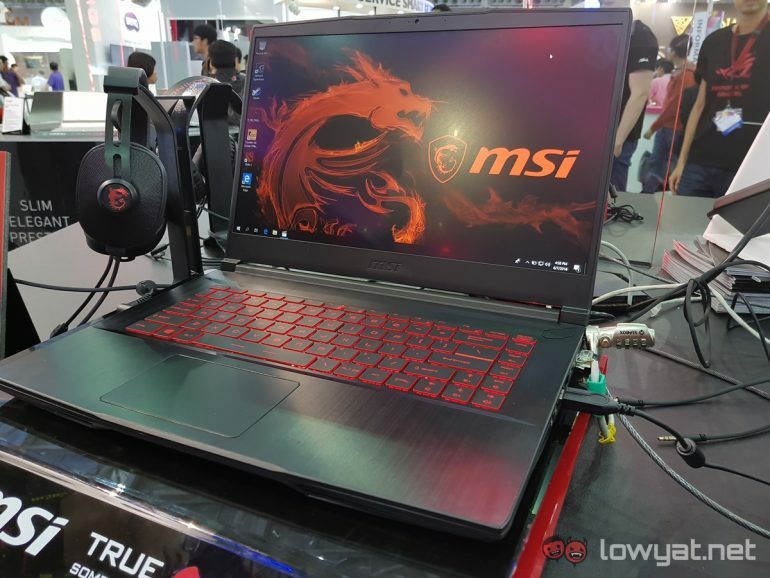 After the launch of its GS65 Stealth Thin, MSI officially launched another gaming notebook: the GF63. 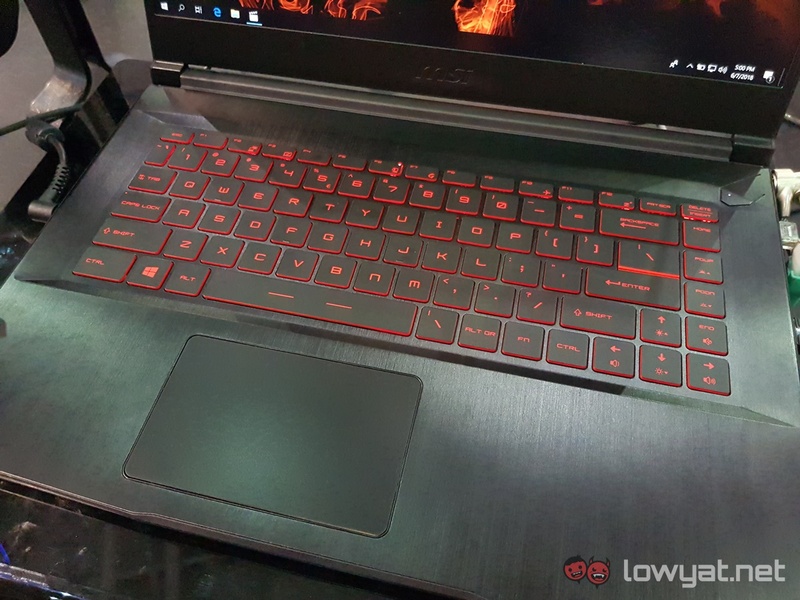 According to MSI, its new entry-level gaming notebook was created in light of the recent surge of gamers in the Battle Royale games such as Fortnite and PUBG. The GF63 sports a pretty thin and light form factor. It’s display measures in at 15.6-inches, has thin bezels, and has Full HD (1920 x 1080) resolution. The display can also be an IPS panel, but MSI says that that is an optional extra. The hardware specifications of the GF63 is also rather impressive. It can house up to an Intel 8th-gen Core i7 CPU, 8GB DDR4 RAM, and up to an NVIDIA GeForce GTX 1050 Ti with 4GB of GDDR5 memory. Instead of a per-key RGB LED setup, the keyboard has a simple backlit keyboard that glows red when turned on. 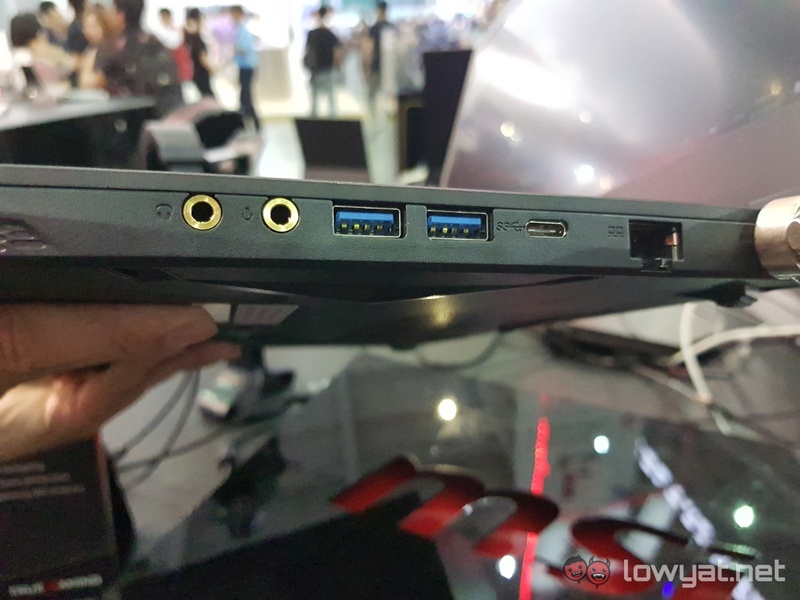 In terms of ports, the GF63 comes with three USB 3.0 ports, a USB Type-C port, one RJ45 LAN port, dedicated headphones and microphone jacks, and a HDMI output on its spine. At the time of writing, MSI did not specify a release date for Malaysia. 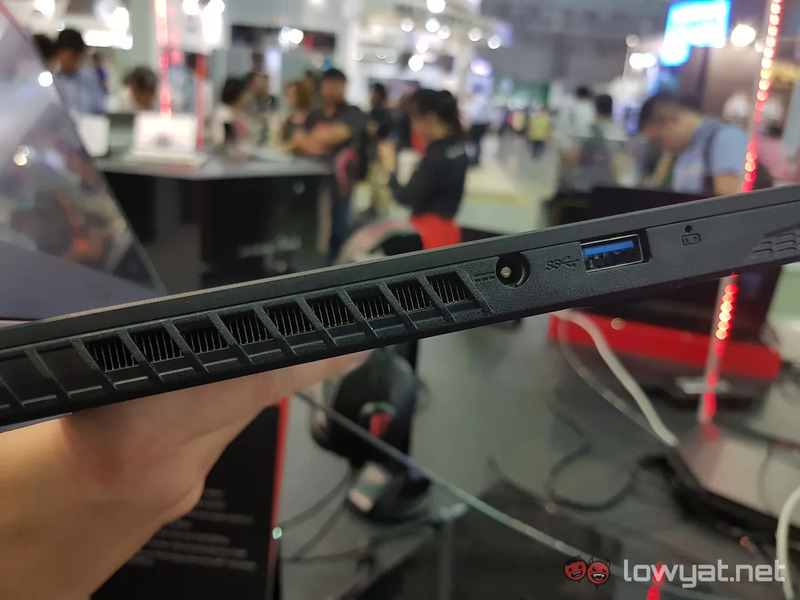 They also didn’t provide an official SRP, an MSI representative did tell us that if the notebook does arrive in Malaysia, its most basic model may cost less than RM5000. Until MSI makes an official announcement, we do ask that you take this bit of news with a large grain of salt.